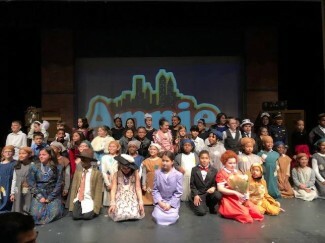 The Annie Jr. Musical was amazing! All of the kids worked so hard for six long months and their effort paid off. Both performances were given to sold out crowds at Summit High school. The audience was treated to sweet enthusiastic singing, dancing and comedy. Everyone had grins on their face as the play concluded. The actors are all truly STARS!